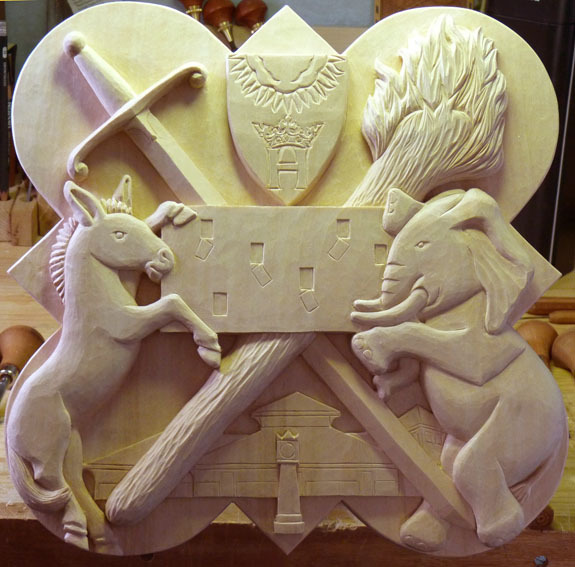 The completed Shattuck Fellows plaque was installed this week in the Schoolhouse, on the second floor in the Rector’s office lobby. 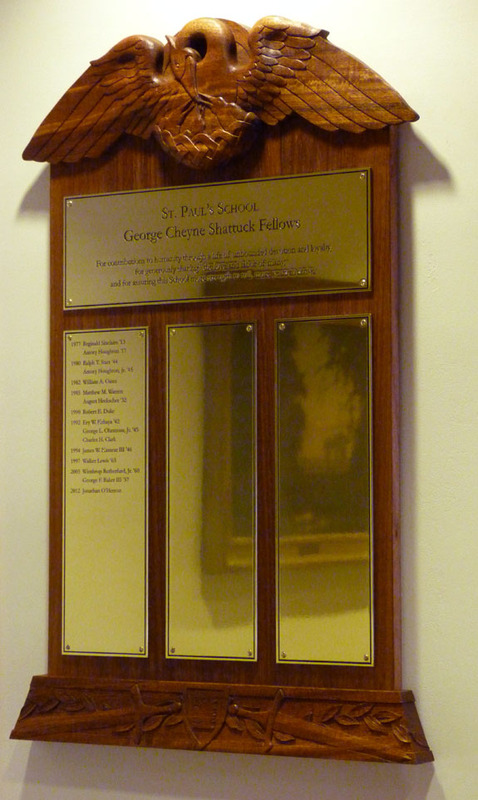 Named after the founder of SPS, George Cheyne Shattuck, the plaque commemorates members of the community who have provided an exemplary level of service to SPS, “. 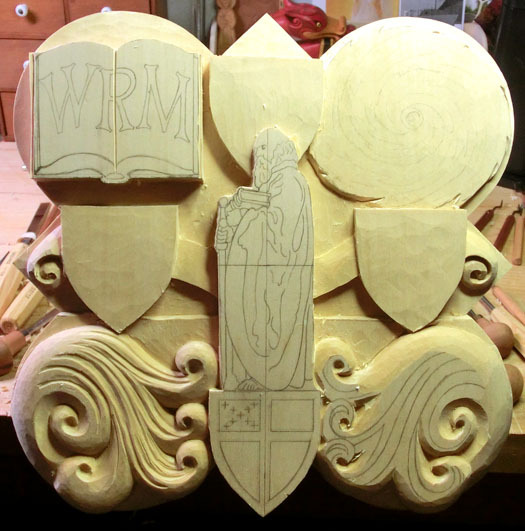 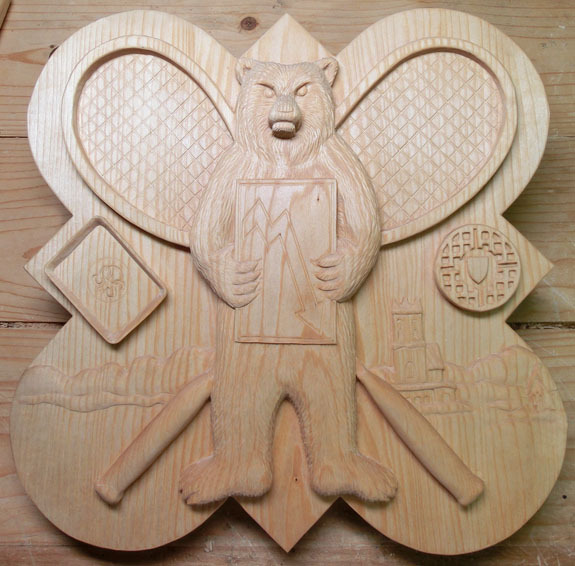 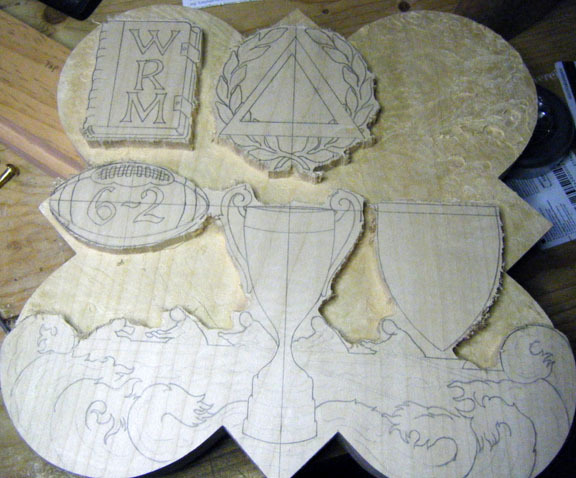 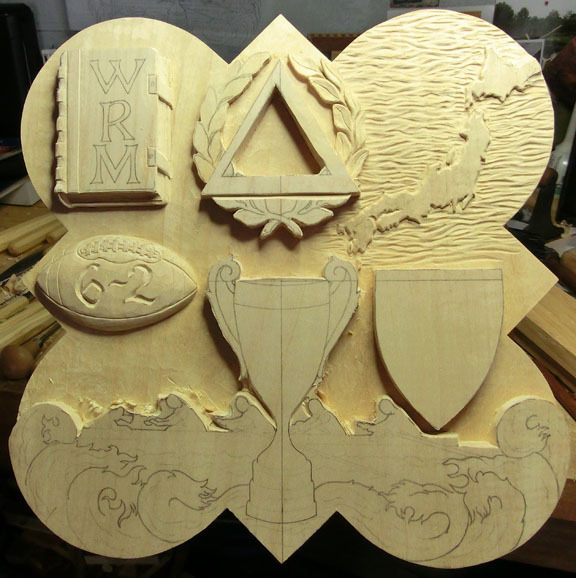 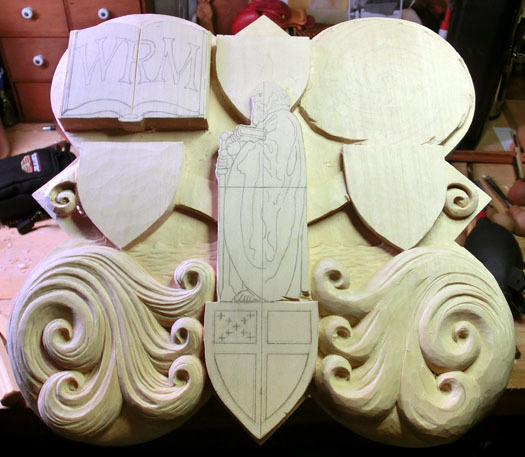 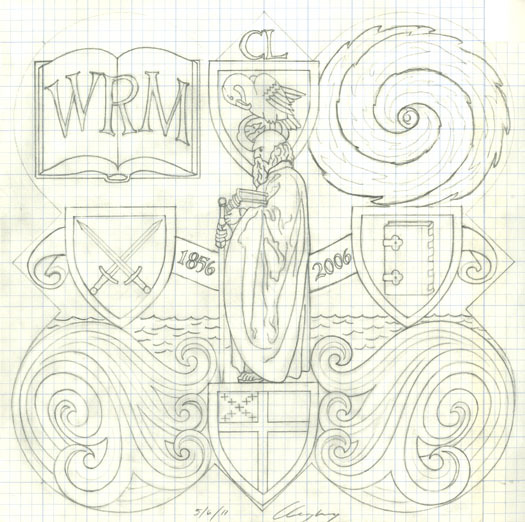 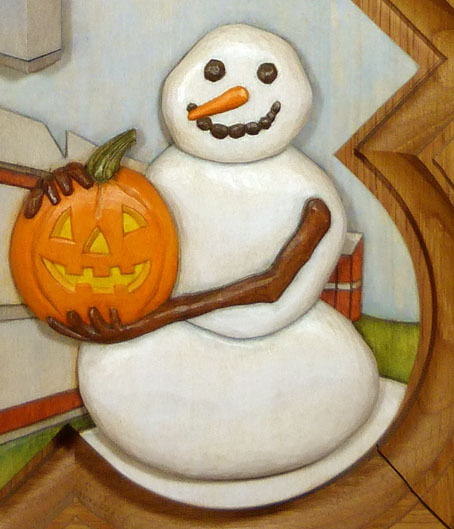 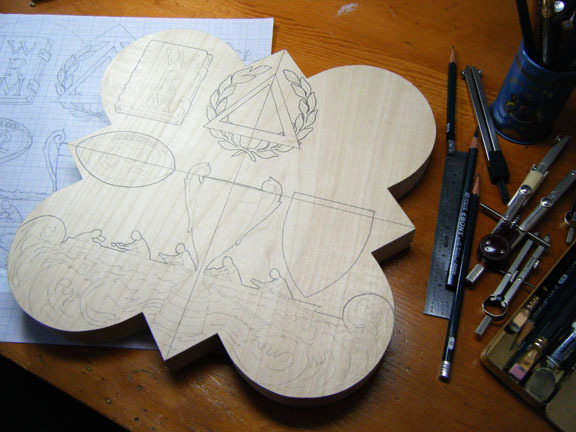 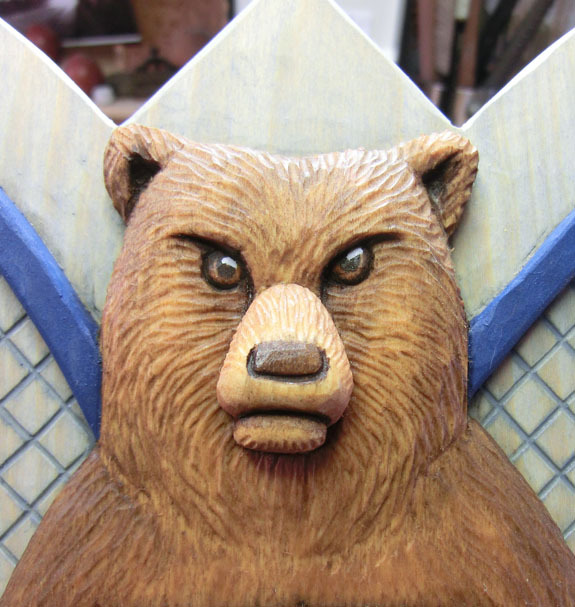 . . assuring this School more strength to toil, more years to strive.” I began working on this project in the fall of 2012 and have completed the various stages of the project between working on form plaques. 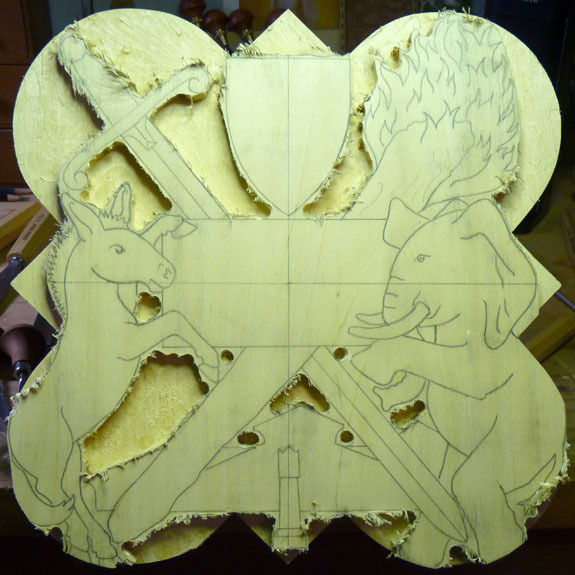 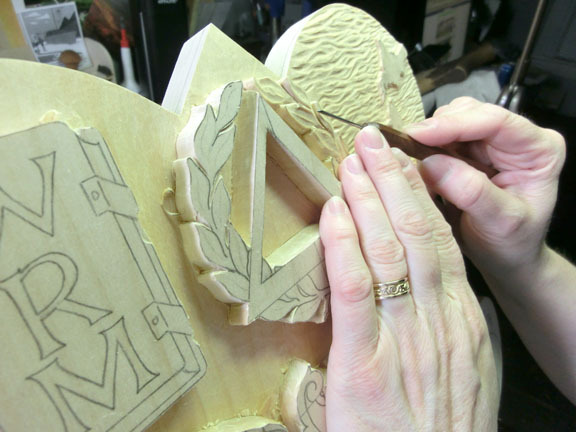 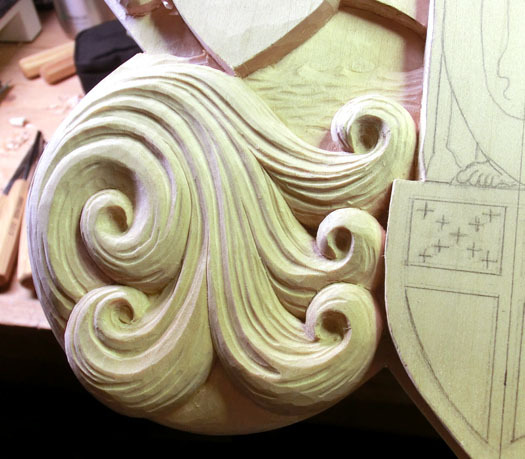 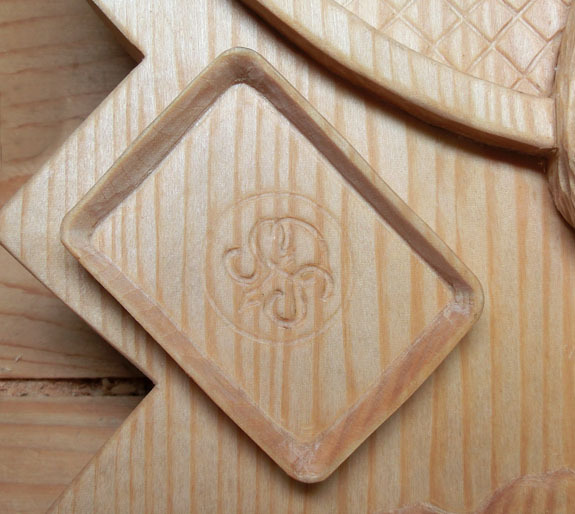 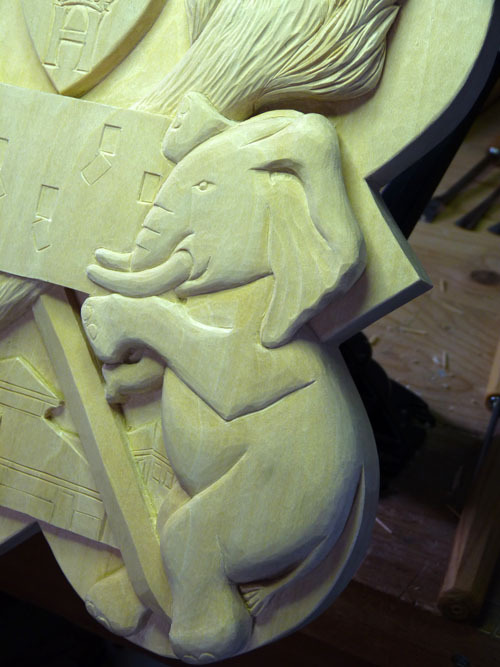 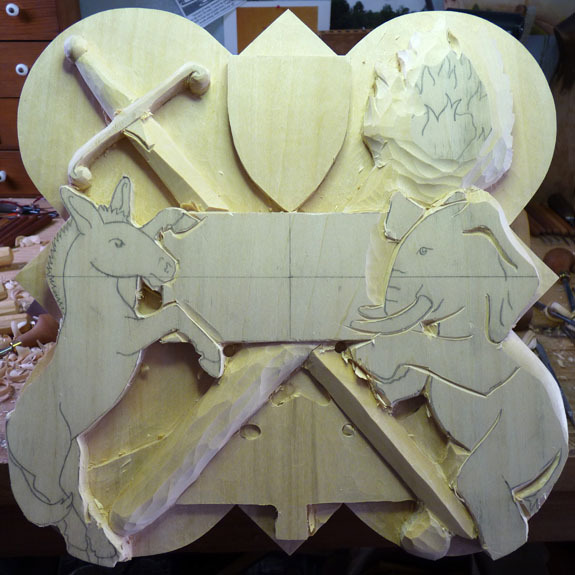 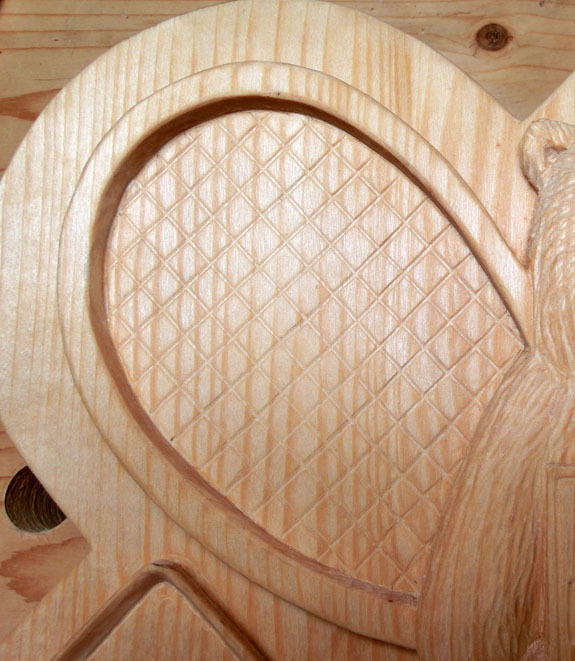 Last summer I documented the carving process for the pelican portion of the plaque – you can see the photos HERE. 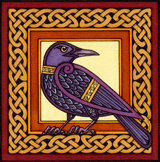 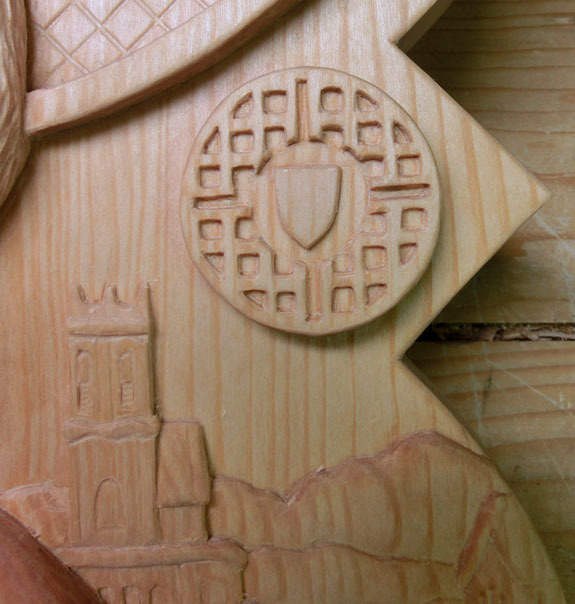 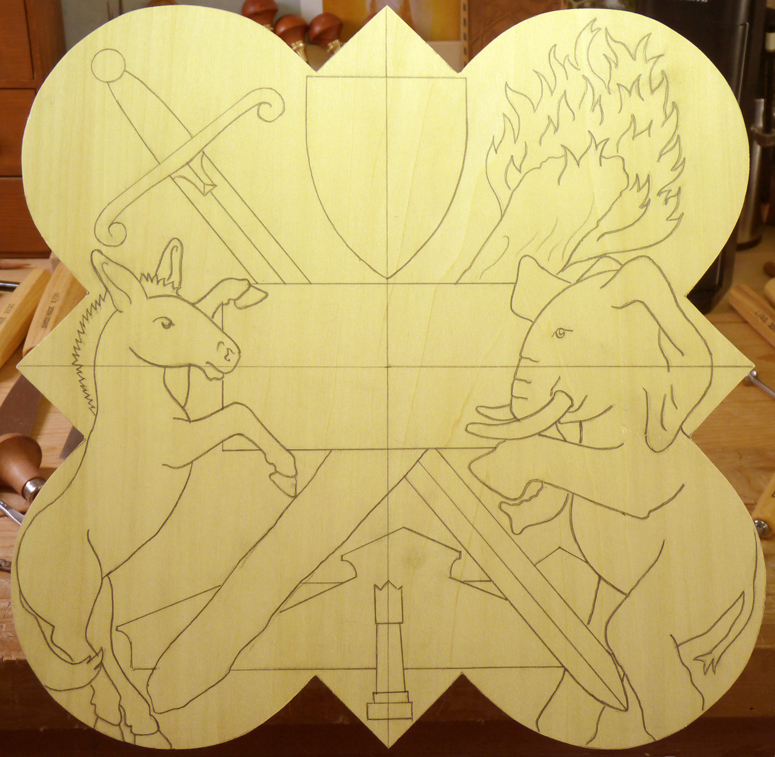 The photo above shows a detail shot of the finished plaque ready to be hung on the wall. 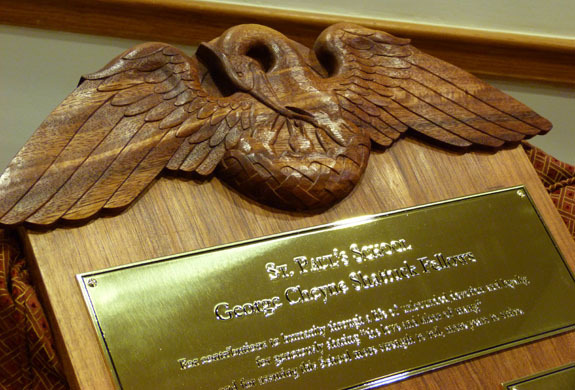 The plaque is made of Spanish cedar with engraved brass plates. 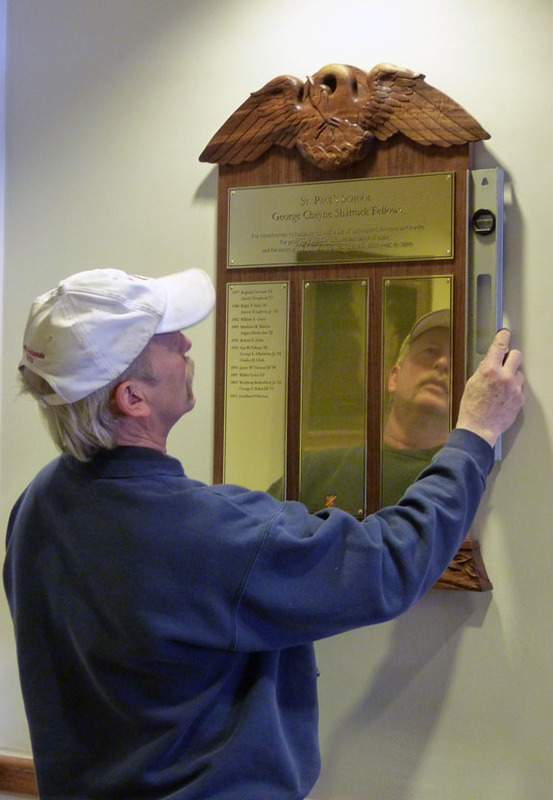 In this photo Matt makes the final adjustments on the positioning of the plaque. 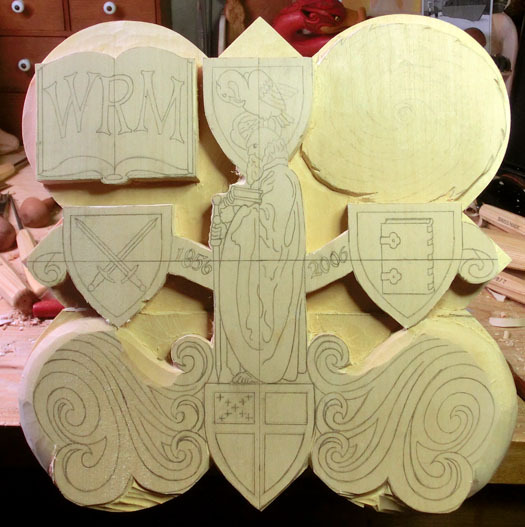 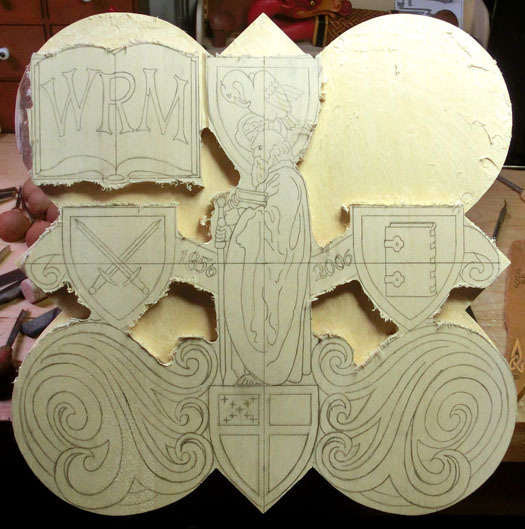 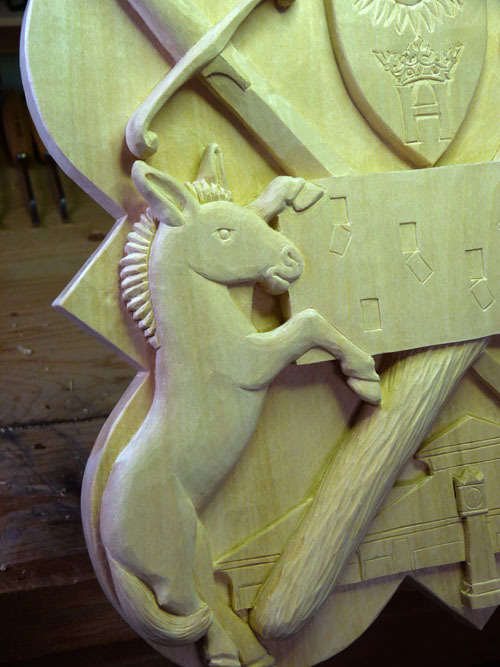 He provided important assistance with this project, locating, preparing and assembling the wood for the panel that supports the brass plates. 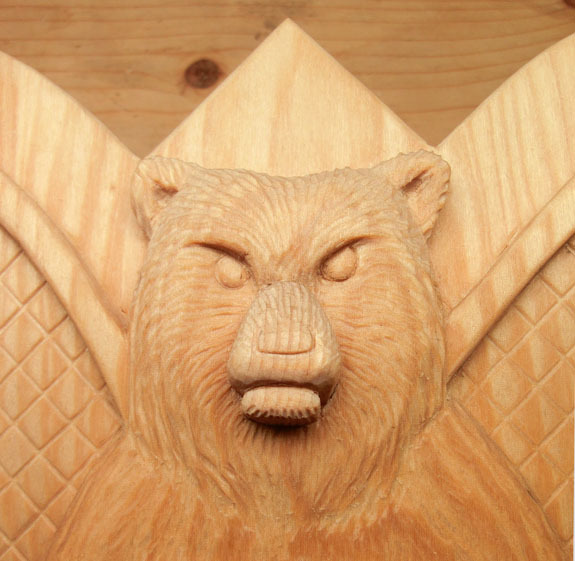 Matt is no stranger to working with Spanish cedar, as his combined job as carpenter and manager of the boat house has allowed him to work on repairing some of the antique crew boats originally made from this beautiful wood. 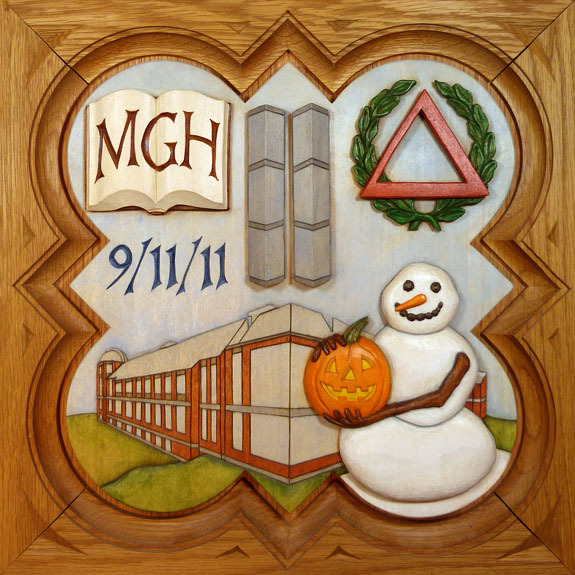 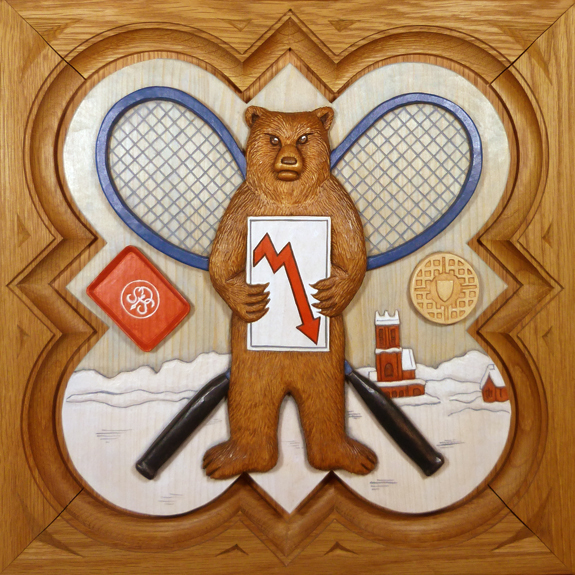 The wood used for the plaque came from a collection of boards that have been in storage at SPS for decades, and is itself a part of the history and the fabric of the school. 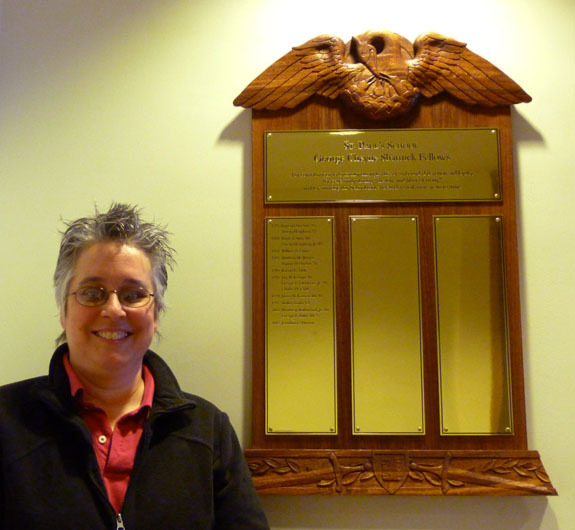 Above, the finished Shattuck Fellows plaque hangs in its permanent location outside the Rector’s office. 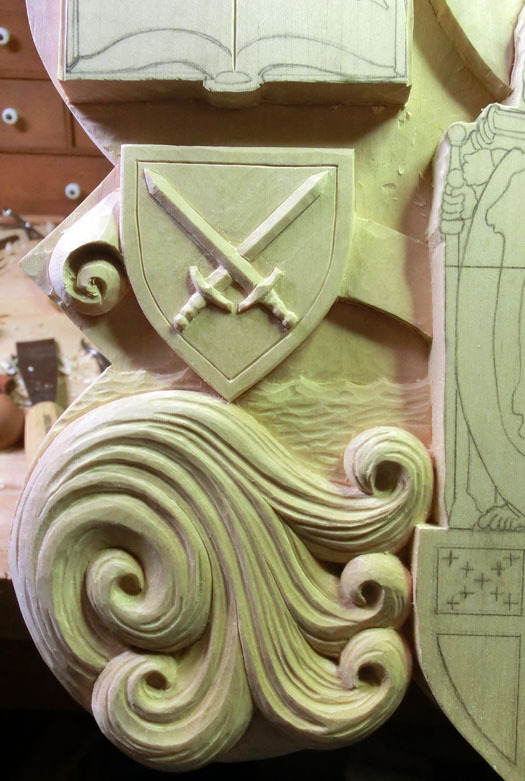 Below shows me with the finished plaque, very grateful for the opportunity to have been able to work on this rewarding project. 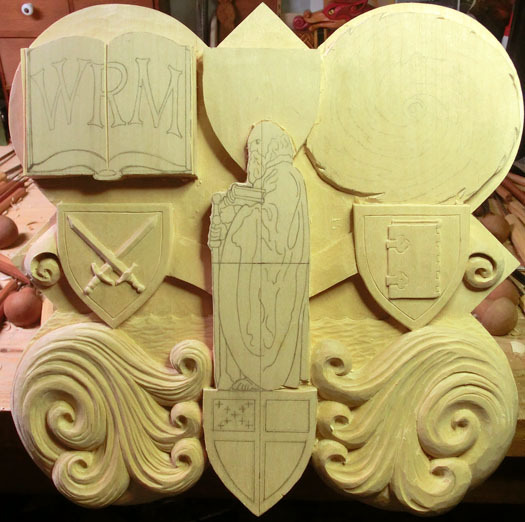 Thank you to the Rector’s Office, and to Shelli for all her work as project manager.